Our PEC conference and pre-conference seeks to connect with tribes, particularly of the Northwest, related to how their lives have been affected by environmental, governmental and social changes. Chuck Sams will be sharing on the history and current issues of US government treaties with the Columbia River tribes at PEC’s "Spirit of the Salmon" pre-conference near Portland, Oregon. On June 9, 1855, the Cayuse, Umatilla and Walla Walla people agreed to a treaty that ceded 6.4 million acres of land to the United States, in what would become northeast Oregon and southwest Washington. In return for that lavish gift, 250,000 acres were reserved for the tribes, "all of which tract shall be set apart and, so far as necessary, surveyed and marked out for (the tribes') exclusive use." But as the years passed, American settlers who had moved West realized that some of the sections of land reserved for our tribes had great potential value, and the new people decided they wanted that land for themselves. In particular, the Western area, which included major sections of the town of Pendleton, Oregon, as well as the northern part of the reservation, had prime agricultural potential. Although a treaty is meant to confer absolute rights, the non-Indian settlers of the area petitioned the U.S. Congress to reduce the tribal land holdings guaranteed by that treaty. In 1885, Congress helped out the settlers by passing the Slater Allotment Act, a model for the sale of "surplus" Indian allotments, and specifically written for the Umatilla as well as the Sac and Fox peoples of Iowa. By 1887, the Dawes Allotment Act also became law, further reducing Indian land holdings across most of Indian Country. The Dawes Act authorized the president of the United States to survey American Indian tribal land and divide it into allotments for individual Indians, thus putting an end to communal ownership of the tribal land base and allowing individuals to sell off bits and pieces. Thanks to the Dawes Act, approximately 100,000 acres of the Umatilla Indian Reservation were allotted specifically to non-Indians, and an additional 30,000 acres were put up for sale. The goal of both the Slater and Dawes acts was to assimilate Native Americans into the dominant non-Indian culture. The assumption was that once whites moved among our people, our Indian culture, religion, tradition, leadership and government would be eroded and soon phased out altogether. Indians would then vanish into the American melting pot. The loss of our lands through sale to non-Indians and allotment to individual tribal members had enormous consequences. Though the Indian Reorganization Act's power to allot lands to individual tribal members ended in 1934, in less than 50 years our reservation had gone from being whole to looking like a checkerboard. The majority of the allotted lands sold were inevitably used for agriculture – growing wheat and raising livestock – while those lands retained by tribal members, which were of less desirable quality, were mostly used for small farms. On the Umatilla Reservation, for instance, many of those lands were on steep hillsides. One of the tragic results of splitting tribal lands into ever-smaller parts was that they soon became "fractionated." Whenever an allottee died, his or her heirs received equal and undivided interest in that allottee's land. As the decades went by, with each new generation the land became further divided, so that what would have been an allotment of 40 acres in 1885 might today be splintered among as many as 100 or more owners. With so many interests involved and so many small parcels of land still available, it became impossible for anyone to build a house, farm, raise livestock or grow a business. Today, the Confederated Tribes of the Umatilla Reservation have nearly 3,000 enrolled members. About 400 parcels of land that originally belonged to the tribes have more than 5,000 individual interests. The federal government created this mess, but there is a way out of it. Elouise Cobell was the lead plaintiff in a precedent-making lawsuit against the Department of Interior over the United States' mismanagement of Indian trust funds. As a result of the lawsuit's settlement in 2009, $2 billion was set aside for tribes to repurchase land that had been allotted and distributed under the Slater and Dawes allotment acts. Now, the Confederated Tribes have signed an agreement with the Interior Department to begin buying back these fractional pieces of property, so that the land can once again be owned in common by the people. There are many challenges that come with doing this, but the Confederated Tribes are well positioned to work with the landowners, many of whom are not tribal members, by offering a fair market payment. Once the land is back in our hands, we believe there will be greater economic opportunity and better ways to protect and enhance the environment, while using the land in a communal way. It seems strange that we have to buy back our own land. We did not create this problem. Our ancestors signed the Treaty of 1855 in good faith, convinced that "exclusive use" meant the land was ours forever. Though it is true we were dealt a poor hand by history, we can make a new start today. We now have a chance to restore our land base, and with proper oversight and use, we will begin to make ourselves whole again. Chuck Sams III is the acting Deputy Director of the Confederated Tribes of the Umatilla Indian Reservation (CTUIR) and grew up on the Reservation, where he is enrolled Walla Walla and Cayuse with family ties to the Yankton Sioux and Cocopah tribes. His lengthy career includes numerous positions in the environmental profession and leadership roles with Northwest conservation groups. His honors include the 2000 U.S. President’s Service Medal for Service in the environmental field. This story was originally published at High Country News (hcn.org) on July 21, 2014. 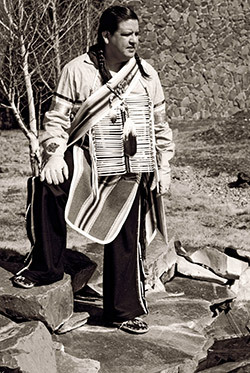 The photo of Chuck Sams is from the Ecotrust Indigenous Leadership Award. Fletcher Harper’s GreenFaith: Mobilizing God’s People to Save the Earth provides a wonderful resource for understanding the importance of caring for God’s creation, and our common home, that God has both made and proclaimed “good.” Through powerful biblical exegesis, awe-filled personal experience, environmental teachings from various religious traditions, and groundbreaking science, this much-needed and diverse text presents a valuable tool for faithful-living in this time of ecological crisis. We have all had experiences in God’s world that shook us—experiences that were sublime, moving, or indescribable. Harper draws on these universal experiences, allowing their power and significance to form the foundation for a much deeper conversation about the future of our world and our moral commitment to its holistic health. 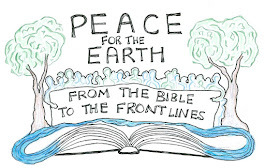 In addition, readers learn through GreenFaith that there is a strong theological foundation to support the care of God’s earth. Through thoughtful readings of the creation stories in Genesis, Harper provides readers with a new and biblically sound understanding of their ancient beginning—rooted in the care of the earth and a reverence for its creatures. Harper then moves to other passages from the Old Testament, illuminating moments in various books that contribute to our theological environmental ethic. Finally, he examines the life of Jesus and the many ways in which Christ’s actions and words speak to his care for all of God’s world. The ecological teachings of other religious traditions, such as Hinduism, Islam, Taoism, and Buddhism, are also considered in GreenFaith. We have much to learn and share when it comes to the care of God’s creation, and in a time when division and fear are so palpable, we must come together with our brothers and sisters to do this important work. Harper’s hopeful voice throughout GreenFaith provides a tone that encourages the reader not to be dismayed, but to embark on the journey of loving both people and place. 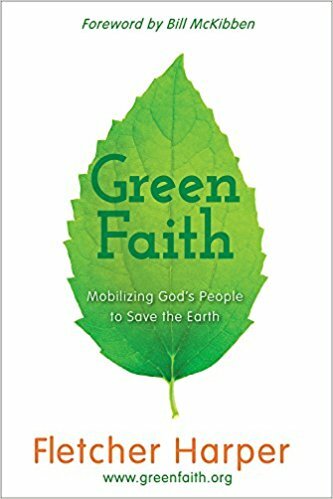 Perfect for Sunday School classes, book studies, or personal reading, GreenFaith has something to offer each of us—from the environmental novice to the climate scientist. 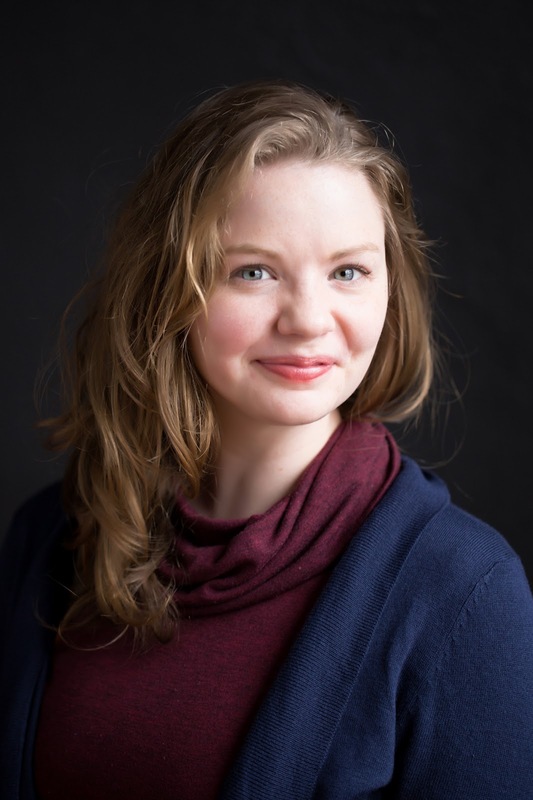 Sarah Ogletree is a second year Divinity Student at Wake Forest University School of Divinity, and a graduate of the the Sustainable Development program at Appalachian State University. She has worked closely with organizations like the United Methodist Women and the Creation Care Alliance of Western North Carolina to establish relationships between communities of faith and movements of environmental justice. Sarah hopes to become a resource to both the church and her community regarding faith-based climate action and social justice advocacy.